At first glance, Lane Courtesy Month might seem like a trivial occasion, joining the likes of National Accordion Awareness Month and Turkey Lovers Month (also in June). We aren’t saying that you have to care about all of these “months”, but we are saying that certain occasions might deserve more attention than what they first suggest. Lane Courtesy Month is one of them. So what exactly is “lane courtesy”? It isn’t letting someone cut in front of you in the cash-only toll booth lane. Lane courtesy is defined as the practice of yielding to or moving over for faster-moving traffic. It’s an often undervalued yet important aspect of smart driving. There’s a good chance you will get a ticket for driving 85 MPH on a road with a 65 MPH speed limit, but did you know you could also be cited for driving too slow in the left lane? Every state has a law restricting left lane usage and police are starting to crack down. 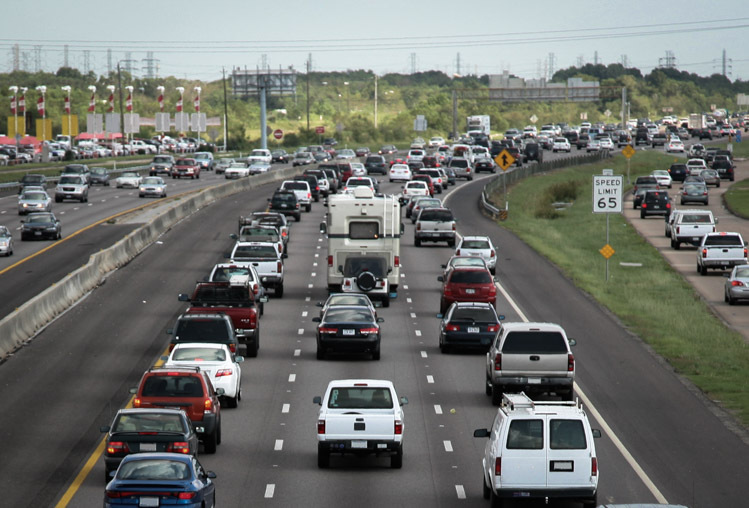 It might sound like an inconsequential offense, but hogging the farthest left lane can lead to unnecessary traffic and accidents. The reason why it is so important to leave the left lane clear is because it primarily used for passing, and if there are too many cars or a car is going too slow, it makes it much more dangerous to do so. In fact, 10% of all highway accidents are caused by changing lanes. It’s fine to use the left lane to pass a car, but once you do, move back over to the right as soon as it is clear. Even if you think you are driving at the correct speed limit, or above it, chances are there is still someone that’s going faster and wants to pass you. A benefit of practicing lane courtesy is that you could get to your destination faster. Smooth flowing traffic means that highway capacity is optimized, which means less traffic. It’s also better for gas mileage. Vehicles use the most fuel when accelerating, so if you aren’t lane hopping, there will be less volatility and less gas usage. We can’t say road rage will totally diminish, but hopefully there will be fewer angry drivers! If you want to continue on your smart driving endeavors, try downloading the Metromile driving app. It helps organize and optimize your trips by allowing you to see how your speed varies on each trip, how much you spend on gas and how long your drive is. Use this rule of thumb to keep yourself and other drivers happy: “If there is someone passing you on the right, YOU are going too slow for the lane that you’re in. Please move one lane to the right.” Thank you! The left lane is completely unusable unless someone in the other lane is going under the speed limit which is not very often. So if everyone is going the speed limit then there would be no legal use of the left lane, since your not allowed to pass since you would have to go over the speed limit.